1st December is World AIDS Day and the global theme is “Know your Status.” A finger-prick 60 second test is all it takes if you are unsure of your HIV status. Head over to this Testing Locator by our friends HIV Ireland to find your nearest venue. ACET Ireland is launching a new HIV awareness and testing initiative for faith communities on World AIDS Day, Saturday 1st December. This is a day when we remember the many millions who have died in the global pandemic and recognise our role in responding to the current challenges. With over 1,000 people living with HIV in Ireland undiagnosed and rates of late diagnosis among the highest in Western Europe it is vital that HIV testing is brought to where people are at. 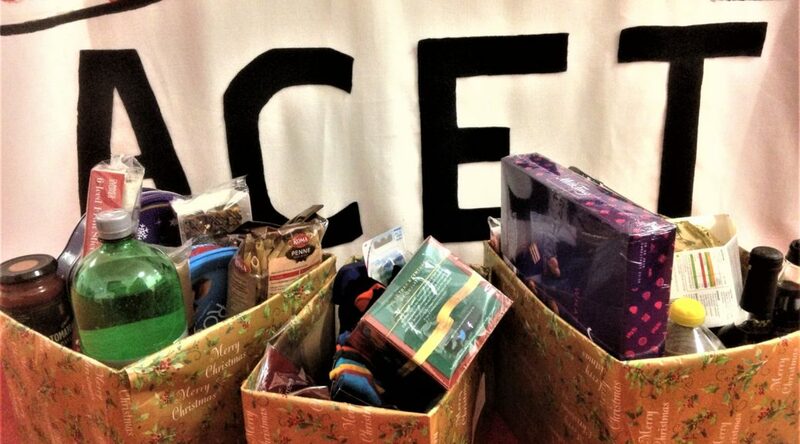 ACET’s project involves free, confidential and rapid HIV tests being offered to faith communities around the country. However barriers to testing are not merely understood in terms of access or availability. They are also about the complexities of culture, expectation, place, secrecy and much more. For Christians our faith in Jesus must interact with all these realities. 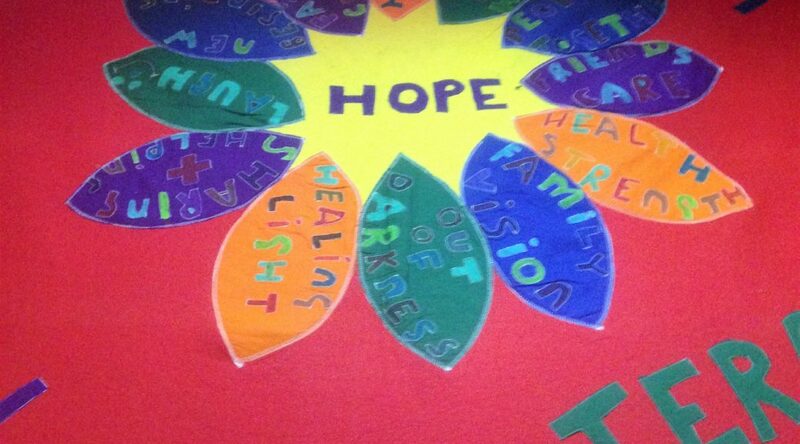 These are issues ACET are eager to get stuck into as part of our work supporting local churches. 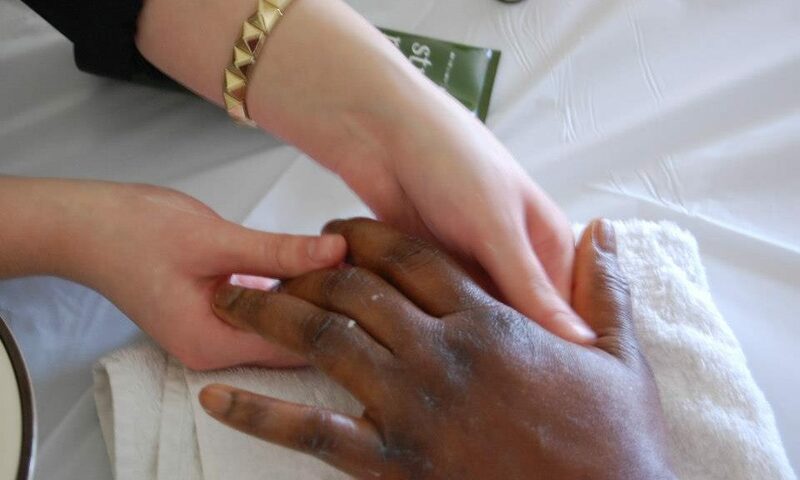 With highly trained staff our workshops, discussions and supports do more than just offer a test, they encourage congregations and their leaders to engage with the challenges of integration, of diversity and of mission. HIV treatment is now so effective that if a person is adhering to their medicine and have what is called an ‘undetectable load’ of the virus (as is the case for almost all who adhere) then sexual transmission to another person is impossible. 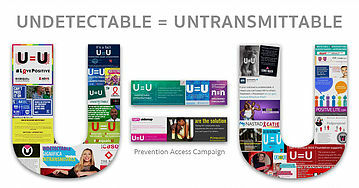 This is called U=U, Undetectable = Untransmittable, and is changing the story of HIV. The UK has seen a 28% decrease in HIV diagnoses over the past two years in part as a result of the impact of treatment as prevention. Ireland is still yet to turn this corner. Testing, therefore, plays a vital role. 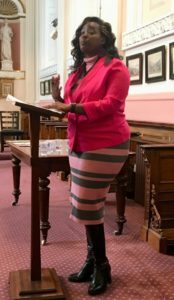 Ifedinma Dimbo has stepped off our Board of Trustees to join our staff team as a researcher. 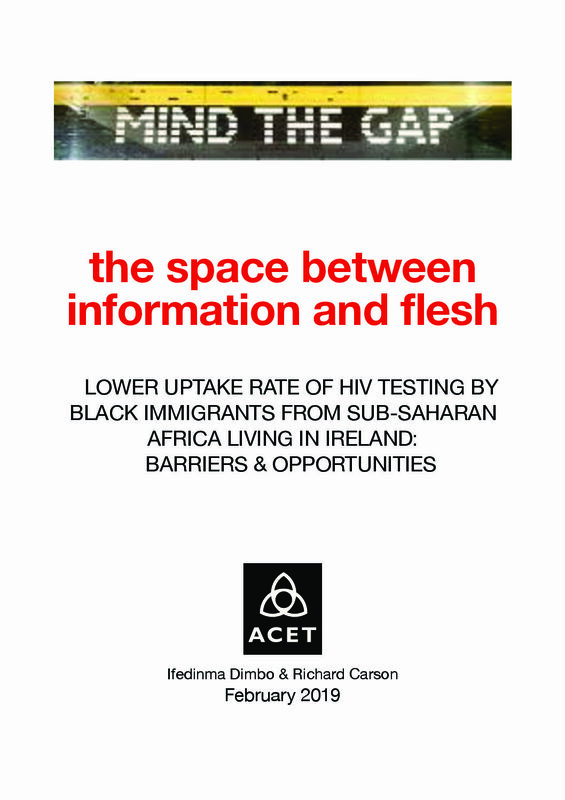 Ifedinma will be asking the question “How can we overcome barriers to HIV testing for African migrants in Ireland?” Drawing from her expertise as a PhD candidate in UCC and her work on migrant experiences of our health system, Ifedinma is looking forward to getting stuck into the challenges of the research. 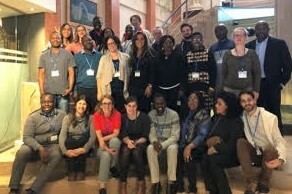 She hit the ground running when gaining a place on the M-Care project of the European AIDS Treatment Group which draws 20 activists and practitioners on HIV and migrants from across the continent for shared learning. Her first session with M-Care was in Barcelona in March; she will be in Frankfurt in May and in Warsaw in July. M-Care group at their first session in Barcelona. Health News: In 2017, leading global health bodies confirmed that when it comes to HIV, Undetectable = Untransmittable (U=U). This means that if a person has an undetectable viral load (linked to adherence to their medication) then sexual transmission of HIV is impossible, even if a condom is not used. In education and training sessions, the enormity of U=U is starting to hit home. How we communicate risk and perceived risk to a group has radically changed. Those living with HIV are no longer, necessarily, the focus of attention. When it comes to transmission risk our energies have shifted to those who are unaware of their status as opposed to those who are aware and taking control of their health. This redefining and refocussing is exciting and opens up a new chapter in approaching the end of the pandemic. 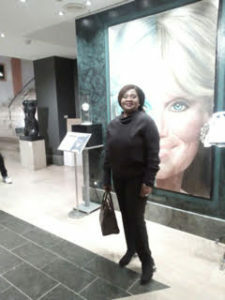 Yet, I have been reflecting on why it takes a medical advance and the concrete realities of transmission for us to be enthused in affirming the positive status of those living with HIV in our midst. In the Bible it says that “faith is the substance of things hoped for, the evidence of things not seen.” People living with HIV have always carried a dignity and identity as image bearers of God. Treatment advances do not necessitate that truth from being real. It was always there and it has always called us to live in resistance to the stigma that so many encounter. 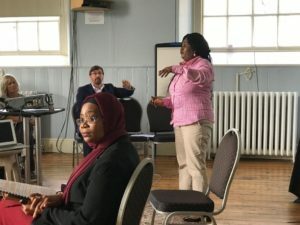 In March, 30 leaders and representatives of a broad range of faith communities and faith-based organisations from Dublin’s North East Inner City gathered together to explore their shared past, present and future. 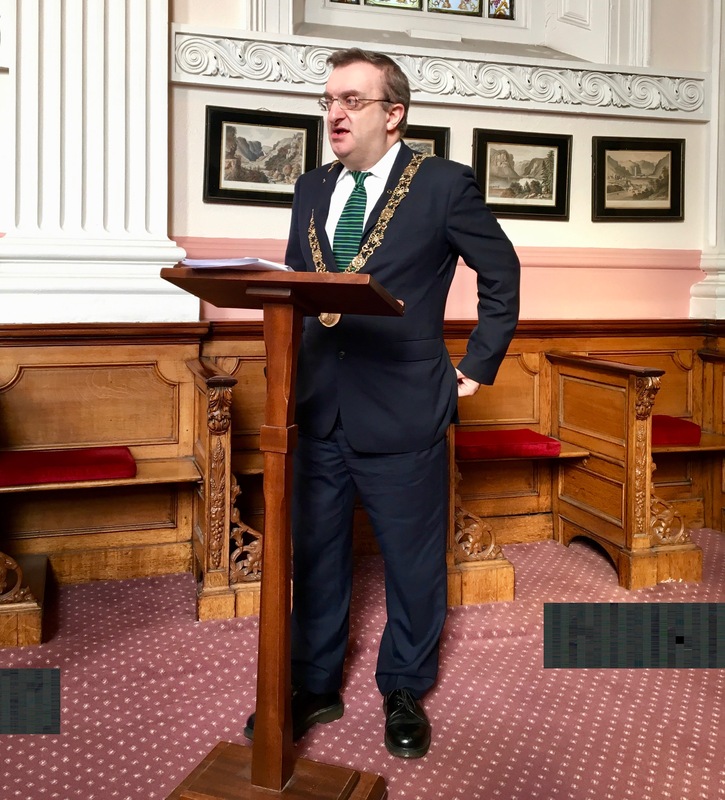 Led by the partnership of ACET Ireland and Dublin City Interfaith Forum, the group were inspired in their conversations and new connections by the inputs of the Lord Mayor of Dublin, Micheál Mac Donncha, Fr. Peter McVerry and Salome Mbugua of Akidwa. Peter McVerry’s comments struck a particular chord as he encouraged those attending to “spend your week demonstrating the dignity of all, which is declared at your worship services on the weekend.” Those weekly activities include supporting asylum seekers and refugees, addressing unemployment, international development, community development, youth work, prison work, responding to addiction, homelessness and HIV, education, leadership development, supporting migrant women, working with travellers, encouraging the creative arts and much more. 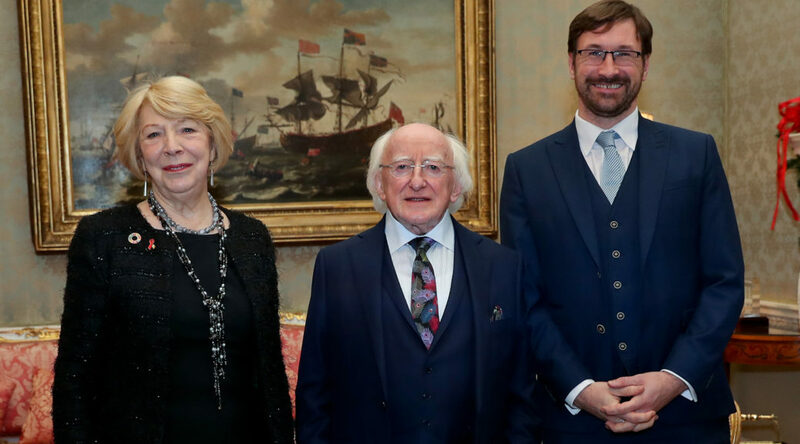 “This is a great opportunity to establish a positive framework for interfaith work in this local community of rich diversity and significance,” commented Adrian Cristea of the Dublin City Interfaith Forum. “For some faith communities and organisations there is little connection with the area in which they worship and operate. Our hope is that this event will start to change that,” stated Richard Carson of ACET Ireland. Cover Photo: Fr. Michael Casey (Salesians, Our Lady of Lourdes, Sean McDermott St), Br. Pat Geraghty (Christian Brothers, North Richmond Street), Michael O’Sullivan (Columbans, Store Street). 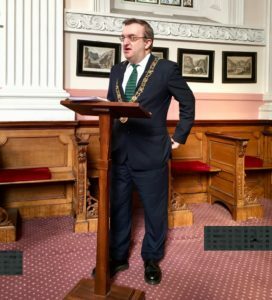 The Lord Mayor of Dublin, Micheál Mac Donncha. 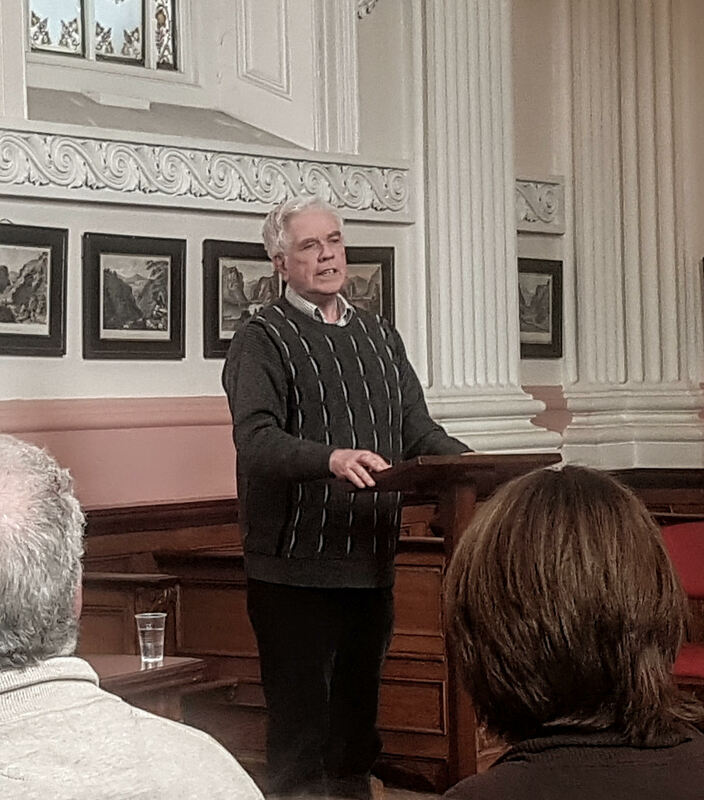 Fr Peter McVerry addresses the group. 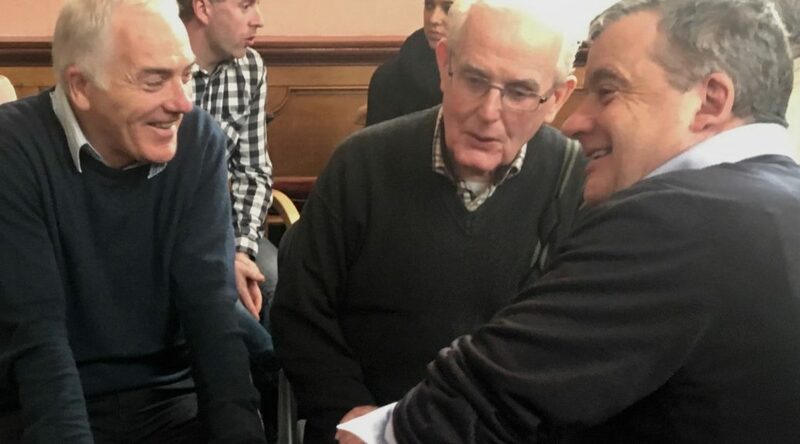 Joe Kerrigan (Trinity Church Network, Gardiner Street), Philip McKinley (Discovery Gospel Choir, Cathal Brugha St), Dave Gardner (Urban Soul/Street Pastors). 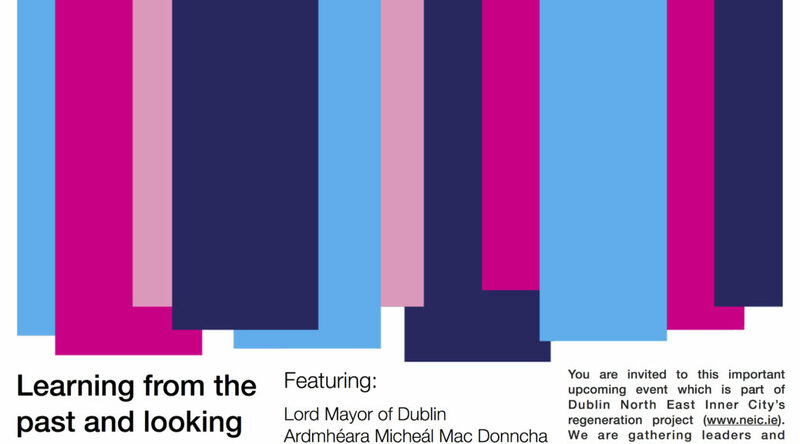 You are invited to this important upcoming event which is part of Dublin’s North East Inner City’s regeneration project (www.neic.ie). 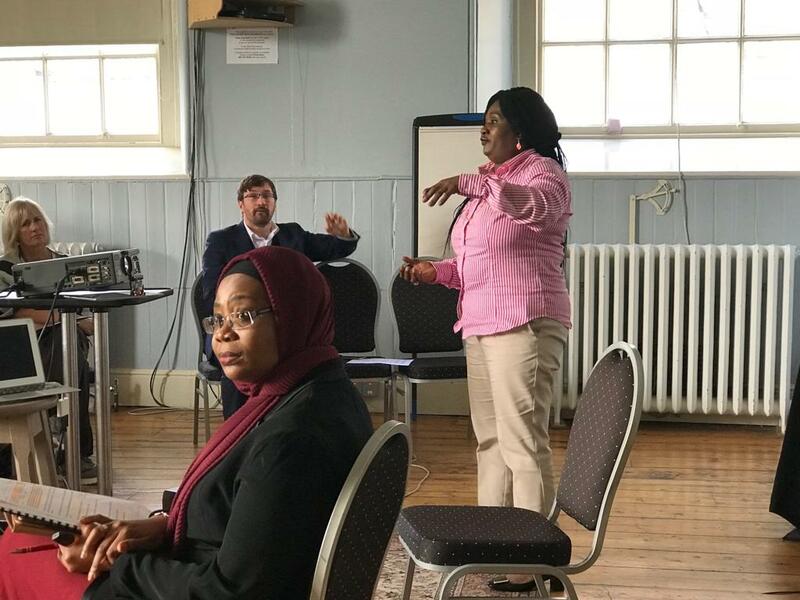 We are gathering leaders and members from a wide range of faith communities and faith-informed organizations in the NEIC, alongside community workers, activists and residents engaged with issues of justice, diversity, integration and community development. Hosted by Dublin City Interfaith Forum and ACET. Thanks to Dublin North East Inner City. Thank you all for your interest and support throughout 2017. We are looking forward to 2018 with hope. Our office is closed until 8 January 2018. ACET founder and quilt group coordinator Terrie Colman-Black and Olivia Corbett, care worker, were part of an Intergenerational Plenary at NUI Maynooth, where the Media Studies Department hosted “AIDS and Irish Media: Intergenerational Dialogues“. 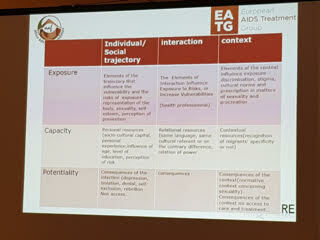 Hansi Chisnall travelled to Galway for a conference, HIV and Ageing, hosted by AIDS West.